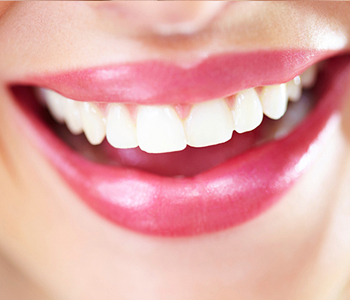 Crowns and onlays are a natural fit with Virtue Dental Care’s holistic and biological dentistry practice. Conservative procedures are a cornerstone of biological dentistry. Inlays and onlays are a less extensive alternative to full- dental crowns. Dr. William Virtue and his team also offer a preferred approach to this preferred option for tooth restoration: CEREC technology. Technology has brought convenience to the dental world. General dentistry has traditionally used many manual processes for common procedures, which were inefficient and unpleasant for the patient. Take, for example, the way impressions are typically made. This model of your mouth has traditionally been rendered by way of the patient biting down on an uncomfortable tray of sticky goo. Chairside Economical Restoration of Esthetic Ceramics (CEREC) takes all of these tedious and dreaded manual processes and transforms them into digital processes. The image used to make the 3-dimensional model of your mouth does not require sticky putty or gag-inducing trays. By taking an optical impression of the damaged tooth with a special camera, Dr. Virtue and his team use the same type of technology that architects have long used to design buildings as the means of designing your restoration. Computer-aided design software allows a more precise design than the messy conventional method, while Computer-aided manufacturing renders a more precise fabrication of the new tooth structure by shaping tooth-colored ceramic to specifications. This process is completed while you wait from the comfort of the Virtue Dental Care office. Inlays and onlays to build up a portion of your damaged tooth may be prepared, designed, made, fitted, and bonded to existing tooth structure in one appointment. You retain healthy tooth structure. While porcelain crowns are still made and placed following dental implant surgery or as part of a dental bridge, this treatment generally requires a portion of the tooth be removed to make room for the crown. Since the restoration is bonded to the existing tooth structure rather than fitted over it like a crown or cap, you get the most natural feeling and functioning new tooth. CEREC inlays and onlays provide optimal strength with minimal stress to the patient, because there is no need to schedule a return trip when your restoration is received from the lab. To experience the benefits of CEREC Dentistry and the advantages of your Yadkinville, NC biological dentist’s approach to restorative procedures, please schedule an appointment. Virtue Dental Care Patients call (336) 679-2034 and New Patients call (336) 679-2034.